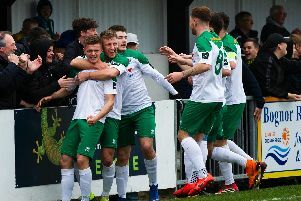 Robbie Blake said he couldn't fault the Bognor players' efforts in their 2-2 draw with Worthing - but admitted it was frustrating not to win the game. Blake was unhappy with the refereeing decisions that led to the Mackerels' two goals - and questioned when the Rocks were going to see better luck with injuries. 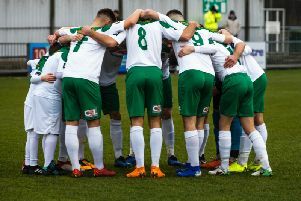 The coach insisted the play-offs were still possible for Bognor but warned the squad was looking threadbare with the losses of loanees and the injuries suffered in recent weeks. Hear his full Rocks v Worthing post-match interview, above, in which he talks about the Worthing game, next week's trip to Margate, injuries and the prospect of new signings to cover the crocked players.